When John Lasseter first pitched “The Brave Little Toaster” to Disney executives as a potential movie for him to direct, he was surprised to find his vision for a 2D animated movie with computer animated backgrounds was not met with much enthusiasm from the executives running the studio at the time. They felt that there was no reason to make a movie with computers if it didn’t result in the final product being made either faster or cheaper (ideally both). Lasseter was dismissed from the company that very day and he moved on to Pixar, where he would end up making another movie where toys secretly pined to be played with by humans (I’m assuming you all know what I’m talking about). 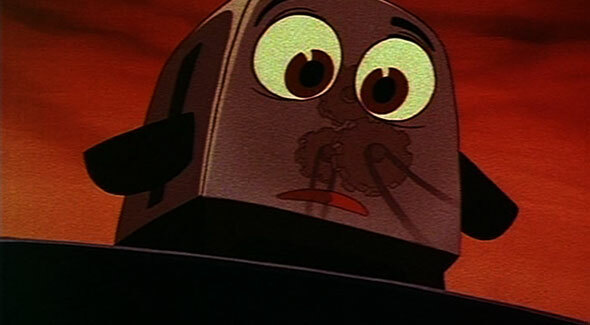 Despite his dismissal from the project, Disney did end up financing “The Brave Little Toaster” and future Pixar alumni Joe Ranft even worked on the screenplay. 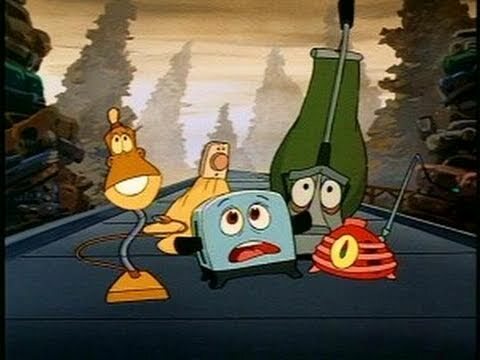 Considering what Pixar would eventually make, it’s difficult not to look at “The Brave Little Toaster” without some disappointment, but it is still a worthwhile movie in its own right. It manages to have the feeling of a Pixar movie with the musical numbers Disney was known for making so well at the time. 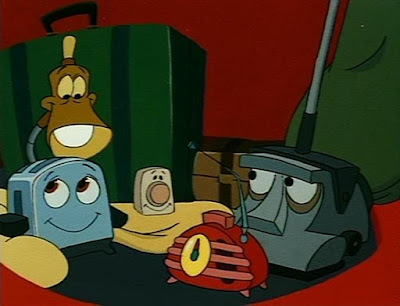 It is funny to think that a toaster, lamp, radio, and even the vacuum cleaner would all miss the kid who used to frequent the cabin so much (the blanket makes more sense), but I suppose it was a strange enough idea anyway. After several years of the Master (as he is so affectionately called) not showing up, the appliances decide it is time to go out into the world and find him themselves. The following journey has highs, lows, and even a decent song or two thrown in for good measure. Some future “Saturday Night Live” regulars even pop in to lend their vocal talents to bring the inanimate objects to life (like Jon Lovitz and the late Phil Hartman). Everyone is likely to have a favorite character in all of this. The title toaster himself does leave an impression with his optimism and good spirits, but my personal favorite is Kirby, the grumpy old vacuum cleaner who secretly has a heart of gold. Animation fans may recognize the voice of Thurl Ravenscroft, who in his life would achieve animation immortality by voicing Tony the Tiger and singing a song about some mean green guy being a Grinch around Christmas. 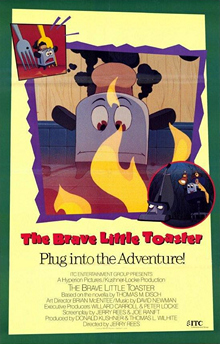 Now, I mentioned the history of the film at the beginning of this review because it puts into context why the movie is still good despite the fact that Pixar would eventually go on to revolutionize the story with “Toy Story.” “The Brave Little Toaster” was still a product of love. It was made on a shoestring budget. It had the perplexing task of getting audiences to care about household appliances on an emotional level. Disney might not have pushed very hard for this to be seen in theaters, but when it was shown at film festivals it was met with lots of acclaim. 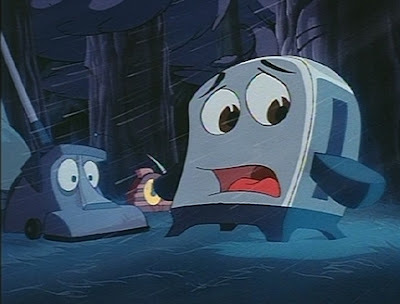 People couldn’t believe that the plight of a toaster could be taken seriously on any level, much less the sadness that is sometimes on display here. At one film festival, the movie was even nominated for ‘Best Film in Drama,’ but the judges admitted to not giving it the award for fear that they wouldn’t be taken seriously anymore. I think that speaks more about the bad reputation animation has than anything else (a few years later some of those same festivals would happily embrace “Beauty & the Beast” as an instant classic). 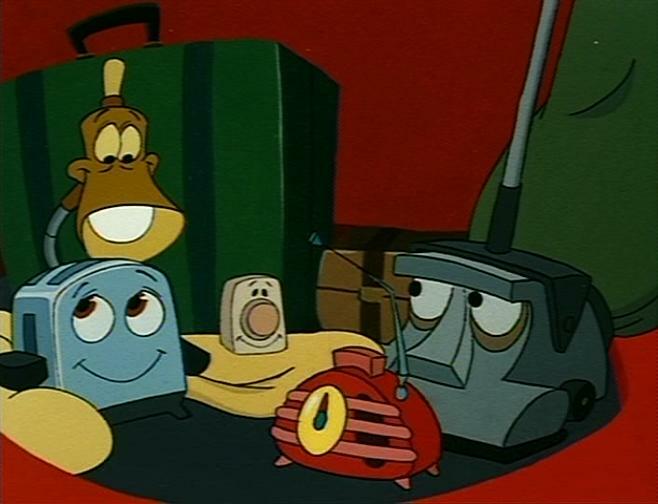 “The Brave Little Toaster” is not a perfect film and it might not have achieved classic status, but it is still a fine movie with great emotion and some revolutionary ideas on what audiences would get emotionally attached to. Some may watch the movie now and think that Pixar has been able to do this idea a lot better. And yes, they would be correct in this assessment. The thing about clever ideas though is that it is just as valuable to understand where they originated from and where they have come since. A friend of mine once called this a “blueprint film,” meaning it was a new idea at the time that deserves to be lost because better things have come. It may have been first but there’s a reason ballet dancers practice the basics even when they are pros: Because you don’t want to forget what worked initially. Considering the movie has long been out of print and does not appear to be available digitally, I fear people may lose sight of this one someday (and I don’t think anyone at Disney cares enough to fix that problem). I wonder what Lasseter thinks about that scenario? Parents, despite the G rating, there are some dark and disturbing scenes of death. Recommended for ages 6 and up.